I always thought when purchasing any kind of motorcycle that I would stick with known Japanese or even British manufacturers. Three years ago I found myself living in Phnom Penh, Cambodia. As I travel around Asia with a small dog on board my motorbike, manual bikes are not so practical as she will only sit on my lap. I had a Honda FTR 223 for a while but each time I changed gear I felt like she was going to fall off, into oncoming traffic. A friend of mine had a 6 month old Sym Attilla 125 automatic scooter for sale for 750USD so I took it for a spin, with the dog on board to test it. I was pleasantly surprised with the bikes acceleration and it’s ability to avoid any other vehicles ( if you have ever driven in large Asian cities you will realise why being able to maneuver easily is vital!). I had only ever seen Sym motorbikes before in Vietnam so was a little concerned about obtaining any parts. I then noticed that a lot of motorcycles in Cambodia that are used to pull tuk tuk carts were Sym. Therefore, I realized the parts must be available, so I decided to buy the bike. In my lifetime I have owned around 10 different motorcycles and have to admit the Sym Attila scooter has by far been the most reliable. In 3 years I estimate I have spent around 200USD on maintaining the bike and have driven around 15000 kilometres on it. Next time anyone suggests you avoid Taiwanese,or Chinese motorcycles, think again. As with Korean car manufacturing, they have come a very long way. Hello everyone, sorry I haven’t been very active lately. I love writing on my motors and vehicles blog, but sometimes life gets in the way. Remember my post about helping someone buy a car? Well, they bought the car but last week got in an accident in a very rural area. Thankfully I had found them a vehicle safety kit from http://www.cheap.forsale/ the week before so he was able to hold out until the emergency services showed up. He learned a valuable lesson that day, to always be prepared. So I thought I would post this as a little PSA about how to be prepared for emergencies in your vehicle. If you get into a collision, or even have mechanical troubles on the road you can be stuck for a long time in some areas. In case this ever does happen, you want o make sure your vehicle itself is in good condition for you to wait in/around. Somethings should be looked for when buying the car; like windows that aren’t fully sealed. Other things will need to be continually checked on and replaced if needed, such a lights and fluids. If you get stuck on the side of the road at night waiting for someone, you will want to have some lights on the road to warn other motorists that you are there. When I was a kid, my dad wouldn’t let us leave the house in winter without an extra pair of clothes plus a full set of winter gear. We could be going to a movie or going shopping and we would still need to have this in the car. I thought it was annoying, but after having a truck almost blow up (no exaggeration) on the way to work one day and being stuck on the side of the road for a couple hours as a result I understand. I now drive around with my full set of work clothes in the car as they are all the warmest clothes I have. You want to essentially have the clothes you would wear snowmobiling with you just in case. 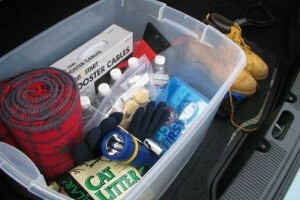 The first thing you should buy for your car is a safety kit, preferably with a first aid kit inside. If you can’t find one that has both, just get a first aid kit (you can find lots of gently used first aid supplies at http://www.cheap.forsale/first-aid-supplies) and throw it in your glove box. There is always a chance that you won’t be able to call for help and that no one will travel on the road you are on for hours. This means you should have at least a small amount of tools in your vehicle for small emergency repairs. Just take a look at some pre-owned tools online at http://www.cheap.forsale/tools and pick the ones that seem to fit your vehicle and its issues best. Just remember everyone, you want to be prepared for any accident that might happen. Hopefully this helps show you what you need to be prepared, but there are other resources as well. The Canadian Automotive Association(CAA) has lots of information on their website to help fill in any gaps I have left. Stay safe! Whats up you guys, thanks for coming back to my vehicles blog. How many of you have bought a car online, or at least looked at cars online? Have you ever clicked the custom tag and nothing else to see what shows up? I did recently( admittedly on accident) and was surprised by what I found. I was expecting to see some hillbilly lawn mowers and cars that are touching the ground, but what I found was more beautiful than both those machines combines. 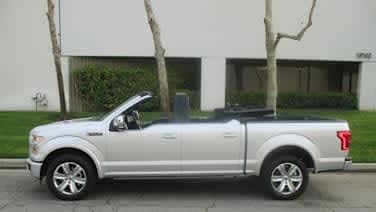 I am talking about a fully convertible Ford F-150 Super Duty. The only damage that seems to have been done to the truck is the removal of the roof and installation of a canvas convertible flat top. It even has a custom roll cage, must likely to deal with any integrity problems that occurred from taking the roof off. Pretty much any four door convertible will look awkward from a bit of a distance, and this truck is like all the other i that way. This truck was customized by a shop, and they released a video along with it. In the video you can see the folding top in action, and it looks fairly smooth. A close up of the rear hinging mechanism is also featured, showing that they don’t look nearly as ugly as people would think. They did not release a price however, but it is mostly in the range of if you need to ask, you can’t afford it. This isn’t the first truck that this particular shop has customized, so their might be an option a little lower on the price ladder. But if you have always wanted a convertible pickup, this might be for you. Hey there people, Stan the man here again. Thanks for tuning into my vehicles and motors blog, I hope you have been enjoying my content. Anyone purchased a new car online lately? I did just the other week after a friend asked for my help in the process. I showed him towards a new online shopping website called https://www.easyprices.com/ that helps you shop smarter by combining ads from all over the web. So we had our website that we were finding ads off of, now we just had to actually look through the thousands of cars for sale and pick the right one. When buying a car online in today’s age, it usually ends up being a lot more confusing then when you could just grab a phone number off the cork board in the coffee shop. One of the weirdest things you have to adjust to it actually telling the difference between a used and a new car. Dealerships have started to post their cars on used car websites and offer them on lease so that it is not technically buying a new car. This can be mislead when looking at the ads, as they usually have cheaper prices than the retail price but the vehicles will look very fresh. 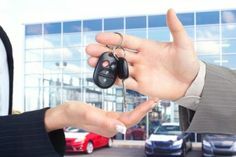 If you are looking at buying a new car, you will want to sit down and decide what exactly you want in your vehicle. Do you want a car or a truck? Sedan or coupe? Gasoline or diesel? Automatic or manual? Try to make a list of any characteristics you really want in your new vehicle and filter your search accordingly. This will also help you adjust your budget, as some vehicle types cost more than other you may be able to go a little higher end depending on what fits you and your lifestyle. No matter what make, model, or year your vehicle is you will have to get something repaired. This might be a full engine replacement, or a simple wiper blade change. When you go out to look at your prospective new car keep this in mind, and maybe even use it as a bargaining tool. If you want to buy a car for $5000 but it will need $500 in repairs, maybe counter at $4700 or somewhere around there. Make sure that it seems like you know what you are talking about though, as some vehicles can be drastically different than others and require different maintenance. Some vehicles are as different as a ski-doo. When you go to buy your new car and it is not coming from a dealership, try to bring the amount you need in cash. Find the black book value of your car first. Pick an amount under the asking price that you feel comfortable paying and put that in one pocket. Put a small amount (under $1000) in another, and an even smaller amount in a third pocket. Offer you large sum in cash, showing you have the money now. If the seller declines, offer the second amount or part of it. Of course, make sure this is done in a safe public area. Those are some of my tips for buying a new car online. I hope this can help you guys if you are looking at buying a new car, and if you liked reading this check out my post on go karts. Take it easy everyone. Hey guys, it’s Stan again. Hope you all enjoyed my post last week, I just love writing for my vehicles blog lately! Last weekend my brother came to visit the farm and he brought his three kids with them. Being as this is a little rural community there isn’t much to do around here for kids visiting. Luckily my neighbor has cleared a big section of land and installed a go-kart( or go-cart) race track! We talked to him and had it closed for the weekend, called up all the neighbor kids and had ourselves a little tournament for the kids. They absolutely loved it, and we thought it looked so fun that after the kids were done me, my brother and the rest of the parents had our own little race. It was so fun! I seriously can’t remember when we had this much fun last, even when my brother tried to run me off the road. Go-karts are no longer an activity just for the kids. Some courses are specializing in adult only go-karts. This means the karts have bigger engines, and in my experience you need at least your driver’s licence to drive them, and some places require you be 18 as well. These karts are so much more fun to drive, but they are also more dangerous as well. The best thing about my neighbours race course is that the karts and some rebuilt machines, and they work great as bumper cars as well! And who hasn’t imagined trying to bump their siblings off the road during a race? Check out your local go-kart track and let me know how you guys liked it! I will see you guys next week, time for me to get a rematch against my brother! Hey y’all, Stan here again with the very first ever actual post for my vehicles blog. Winter just came in with a bang last week, and with all this snow means that I can finally bring my ski-doo out! For those of you out of the know, a ski-doo is the original off-road snowmachine, and the name has since meant any snowmobile but ski-doo’s are still the very best! The one we have on the farm is from the 1980’s and works perfectly, other than one headlight. I have tried out some other snowmachines over the years, and I will admit to having an Arctic Cat snowmachine that I absolutely love, but that one is a bit too fancy for driving around the farm. Ski-doo is still owned by BRP, and they still make some mean snow machines. They have many different models, from the basic bare bones edition to one made for touring the countryside for hours at a time while staying as comfortable as you would be sitting by the fire. The model I own is called the Tundra and the tagline for it is pick a place on the map and the tundra will take you there. Something the tagline doesn’t say however is that you will have an amazing ride getting there. There is just something special about riding a snowmobile on some nice powder through an area that no one has been to in weeks, maybe months. I can’t think of any other vehicle that lets you be so in tune with everything around you. If you guys can, check these awesome machines out. Giving the kids snowmobile rides can make a great winter tradition, we would do it multiple times a year. Hope you guys found this piece informative, I am heading out for a ride. See you soon. Hello there, welcome to my new blog and website! My name is Stan, and I’m so glad you decided to read my vehicle blog. I grew up on a farm, so have been surrounded by various different types of vehicles and the automotive industry all my life. On the farm we would use different tractors, side by sides, quads, dirt bikes and lawn mower tractors. We also had 2 old trucks which would break down easily so I spent many weekends with my dad learning how to fix up the old trucks, and when to give in and take them to the Garage. Because of this when I was 18 instead of heading off to College or University, I decided to go into an apprenticeship course and worked in an Auto shop alongside some incredibly experienced mechanics, learning all the basics on vehicle repairs and maintenance. After my 2 year course I then worked in a Garage for a few years until I was 25, when I decided to move back home and work on the family farm. So that’s where I am now, I currently co-own the family farm with my dad, and we have a farm Garage where I repair and work on farm equipment for our Area. I hope you’ll enjoy reading my blog.